Check out Tobi's Beverly Double Buckle Belt Buckle up, babes. The Beverly Double Black & Silver Buckle Belt is the gorgeous western inspired belt your denim craves. Featuring two engraved buckles with a hint of turquoise embellishments, wear this cute belt with skinny jeans for some western action. Buckle up, babes. The Beverly Double Black & Silver Buckle Belt is the gorgeous western inspired belt your denim craves. 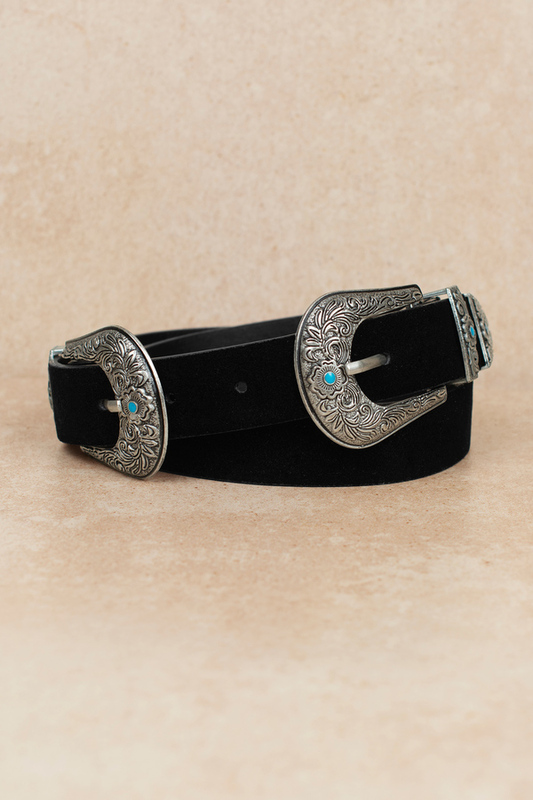 Featuring two engraved buckles with a hint of turquoise embellishments, wear this cute belt with skinny jeans for some western action.